When you or your little one has the stomach flu, the only question on your mind is most likely: “When will this stop?” Diarrhea and vomiting can lead to dehydration, which can make you or your kids feel even worse. But there’s something everyone can do to feel better fast—rehydrate with Pedialyte®. Unlike the seasonal flu, a respiratory infection caused by the influenza virus, “stomach flu” refers to several viruses that cause the intestines to become inflamed. 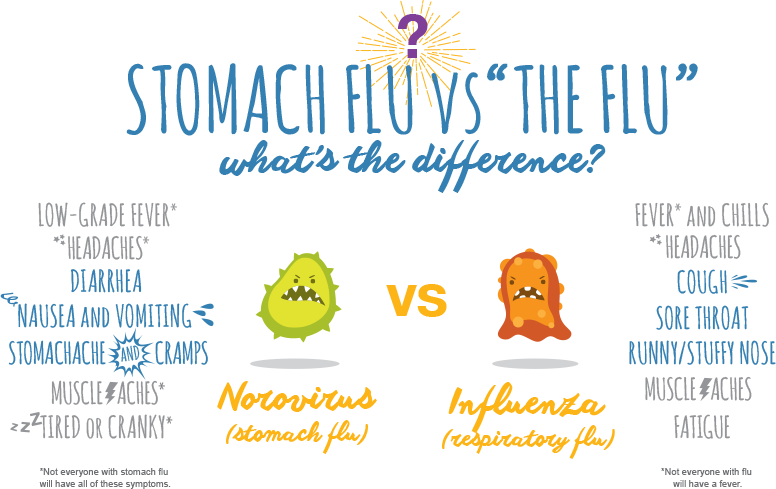 A common cause of the stomach flu is the norovirus. The norovirus can spread quickly and easily through shared spaces like schools, the office, restaurants, and on public transportation. How long does the stomach flu last? How can I treat it? Stomach flu symptoms usually last 1 to 3 days. Since the stomach flu is a virus and not a bacterial infection, current medicine can’t “fix” the flu—it has to get better on its own. But there’s something you or your family can do to feel better in the meantime. Intense diarrhea and vomiting can dehydrate you, which, on top of stomach flu symptoms, can make you or your little one feel even worse. 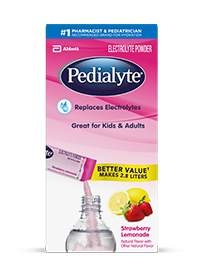 See the Lyte and rehydrate with Pedialyte to feel better fast. But because it can be brought on by several different viruses throughout the year, stomach flu can hit at any time. Why use Pedialyte for dehydration caused by the stomach flu? 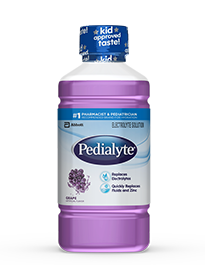 For more than 50 years, Pedialyte has provided the optimal balance of sugar and electrolytes that people need for fast rehydration after challenging moments of dehydration, like the stomach flu. Juice, sodas, and sports drinks are too high in sugar and too low in sodium (which is an important electrolyte). And when you or your little one is dehydrated from a stomach bug, sugary drinks can actually make diarrhea worse. Pedialyte has the optimal balance of sugar and electrolytes needed for fast rehydration when vomiting and diarrhea leave you or your little one stuck in the bathroom. If you or your kids are having trouble keeping liquids down, start by taking small sips of Pedialyte every fifteen minutes. Increase the amount as able. put Powder Packs in a bag or pocket. Just add to water to rehydrate! Most people come down with the stomach flu from November to April, but it can hit at any time. 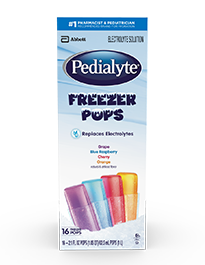 Add Pedialyte to your first aid kit and always be prepared. 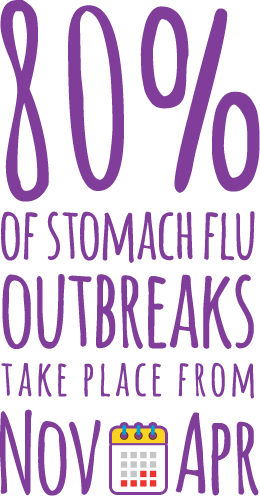 Our seven different types of Pedialyte Products come in a variety of flavors. Find your or your little one’s favorites online or at your local store.